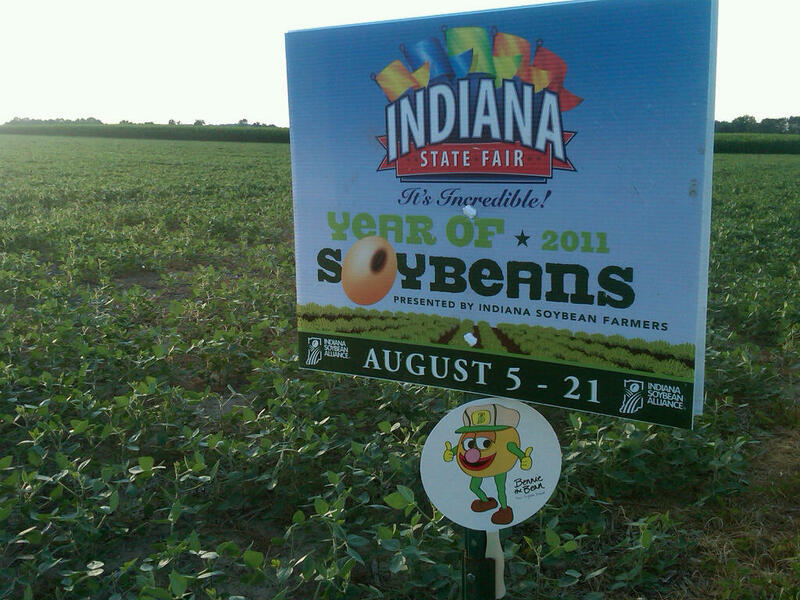 Last year about this time we were getting ready to celebrate the Year of Soybeans at the great Indiana State Fair. And Bennie the Bean was showing up everywhere, even at an Indianapolis Indians game! While these guys (the giant soybean statues, not the three monkeys in front) will still be at the Fair this year in the new BeangoLand, it's time to moooo-ve on and celebrate the Year of Dairy Cows! Want to know just how long you have to wait to get your dairy on? 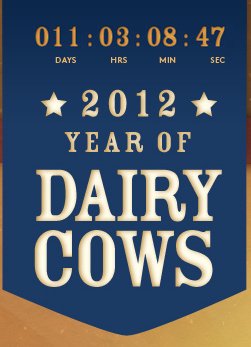 Visit the Year of Dairy Cows page here and see the countdown! I can't wait to see all the great stuff that the Indiana dairy farmers have planned for us this year. Rumor has it that there are some great new foods being offered this year. The Signature Food contest is happening now over at WFMS - be sure to head over and vote for your favorite treat. The new Lemon Chiller at the Dairy Bar is definitely going on my "must try list." I think the Indiana State Fair is still a great deal for individuals and families with a lot of free activities once you are inside the gates. Want an even better deal? Check out this blog post on some discount (even free) admission days at the fair! There are even some free ticket giveaways out there! Head over to Indiana's Family of Farmers Facebook page and check out some great State Fair giveaways from some Indiana blogging ladies. They are offering admission tickets AND coupons for the Dairy Bar. Score! As I have said on her before, my work takes me to the Indiana State Fair almost every day of the 17-day run. It's a long stretch but I love it. I love it more in the beginning, but I do love it. I'm thinking that I need to paint my nails like this to get me in the mood for the Year of Dairy Cows and the great Indiana State Fair! Disclaimer: I don't work for the dairy industry OR the Indiana State Fair. 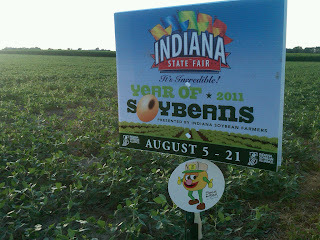 I am active in Indiana's Family of Farmers and do work for Indiana soybean farmers. However, all opinions on this blog are my own. Period. sounds like lots of fun!!!! Love those nails!!! Are your nails done yet??? ?